I so enjoy working with the "Make A Wish Foundation" and this year was no exception. 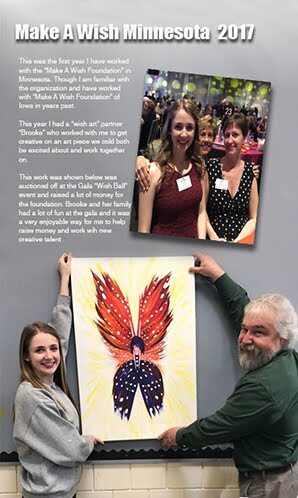 I had the opportunity to work with a very talented artist for the work shown here and we had a lot of fun creating it for the Minnesota Make A Wish Gala Ball where it was auctioned off. This is just a fun piece. The colors are what I really enjoy in this painting while the symbolism is rampant in this painting it is just one of those pieces that is fun to look at. 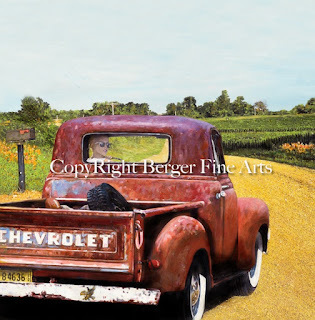 This is part of the "Farm Series" and features a glancing look backward before hitting the road on a beautiful summer afternoon in the farmland. I love these old farm trucks and how they keep looking better with every dent, dings, and fading paint they acquire. 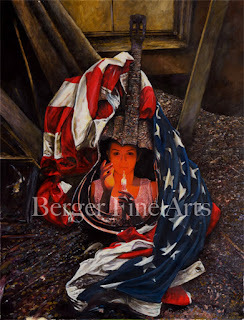 This piece was created to be auctioned to help victims of Muscular Distrophy. It features the founder of the "Crawl 4 the Cure" who passed away earlier this year, thats big John in the jeep and in the sky. 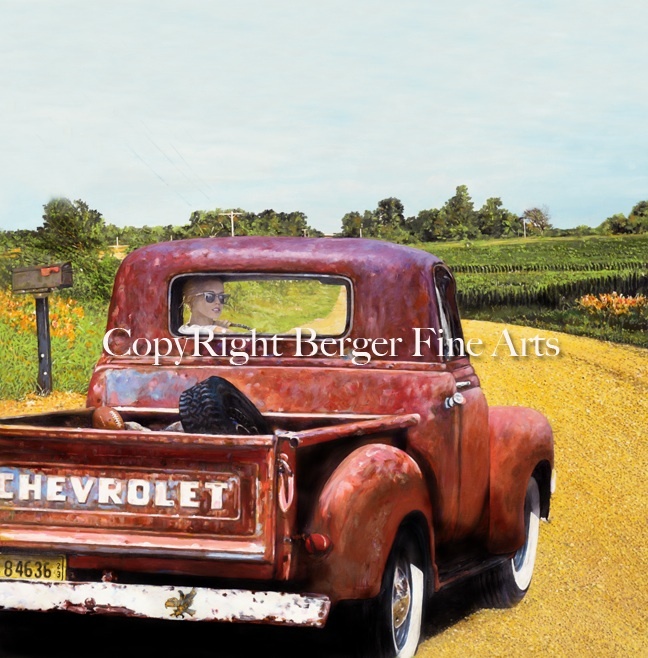 This artwork was auctioned off at this summers big event held in Gilbert Minnesota and was very well attended by jeep enthusiasts. 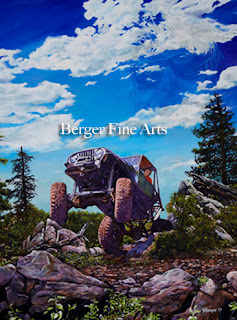 To everyone who remembers "John" they also of course remember his jeep that is featured prominently in this artwork, a really nice jeep that he worked very hard to be able to handle any up north terrain. What a great organization and event. It was an honor to paint this piece so the money that was raised will help people going through some really rough times. 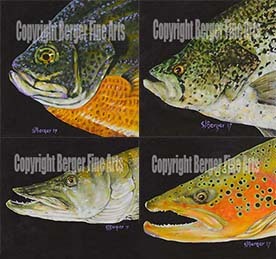 Here are more of the fish portraits that are part if the series where I earlier posted the "Bass Portrait". These are small 12"x12" originals but the small size makes it easy to hang on a wall in an interesting layout. Fun series to paint and great for a cabin or a den. Prints are available.